The Premier League entered its 20th season and, even after two decades of success, expansion and entertainment, no one would have predicted the sensational climax that would unfold. Sergio Aguero sent the Etihad Stadium into ecstasy after capturing Manchester City's maiden Premier League title with a last-gasp strike against Queens Park Rangers. It was a fitting end to a captivating campaign – voted as the best ever in the Premier League 20 Seasons Awards – that started with a bang in August 2011. Both Man City and rivals Manchester United were neck and neck after winning their first four matches, and that set the tone for the title race. In August, Edin Dzeko scored four as City beat Tottenham Hotspur 5-1 at White Hart Lane, while a Wayne Rooney hat-trick and a double from summer signing Ashley Young gave United a remarkable 8-2 win over Arsenal at Old Trafford. A series of other new arrivals also made their impact in the early stages. Aguero scored twice on his debut against newly promoted Swansea City, Juan Mata instantly settled at Chelsea and French midfielder Yohan Cabaye helped Newcastle United move up to third place after going unbeaten for the first 10 Premier League matches. It was Roberto Mancini's Man City side who grabbed the initiative in the title race, though, dropping just four points in their opening 14 matches and scoring 48 goals in the process. Their first loss followed, allowing United to go level on points at Christmas. The only defeat for Sir Alex Ferguson's side up to that point was a 6-1 thrashing by City at Old Trafford, with Mario Balotelli scoring twice and grabbing the headlines by revealing a 'Why always me?' shirt in celebration. Tottenham Hotspur were the Manchester clubs' nearest rivals at the turn of the year but a 3-2 win for Man City over Spurs on 22 January, sealed by a stoppage-time penalty from Balotelli, effectively ruled them out of the title race. United then went on an eight-match winning streak to open up an eight-point gap at the top, but two defeats, including one courtesy of a Vincent Kompany header, against City, and a 4-4 draw against Everton left their rivals ahead on goal difference going into the final match. City took on QPR, still not safe from relegation, while United faced mid-table Sunderland. Wayne Rooney's goal gave United the win they needed and Djibril Cisse and Jamie Mackie cancelled out Pablo Zabaleta's opener at the Etihad Stadium to leave United on the brink of a 13th Premier League title. Then, against 10-man QPR following Joey Barton's dismissal, Dzeko levelled in the 92nd minute and, with virtually the last kick of the match, Aguero's cool finish made City champions. Fans streamed on to the pitch as a historic first Premier League triumph was confirmed. Away from the gripping race at the top, the season was a record-breaking one in many aspects. A record of 1,066 goals were scored and Aston Villa's Marc Albrighton netted the Premier League's 20,000th goal in a 2-1 defeat to Arsenal in December. Newcastle manager Alan Pardew won the Manager of the Season after guiding his side to a fifth-place finish. The Magpies secured UEFA Europa League football thanks to a run of seven wins from eight matches at the tail-end of the season. 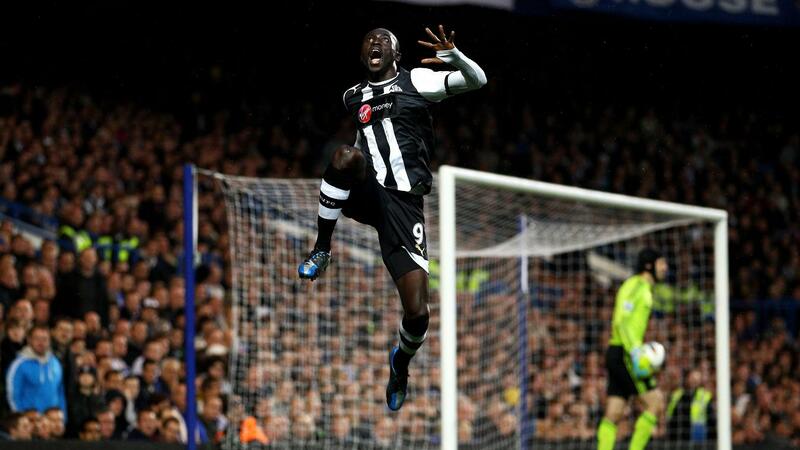 Much of that success was down to the form of January signing Papiss Cisse, who scored 13 goals in 14 matches after his move. That included a goal of the season contender against Chelsea, when he scored with an audacious, curling half-volley from long range in a 2-0 success. That loss contributed to the Blues' sixth-place finish, but Roberto Di Matteo's team secured UEFA Champions League football for another season as the holders, after beating Bayern Munich on penalties in the final of the competition in May. Subsequently the Premier League's top three would join Chelsea in the elite European competition, and the third spot went to Arsenal, who overhauled north London rivals Spurs by one point. The catalyst for their success was Dutch striker Robin van Persie, who won the Golden Boot after scoring 30 goals. The season was also a successful one for newly promoted Swansea City and Norwich City, who secured 11th and 12th place respectively. The bottom three was made up of Bolton Wanderers, who were unable to overhaul QPR after drawing with Stoke City on the final day, Blackburn Rovers and Wolverhampton Wanderers. Wigan Athletic were bottom of the Premier League table in March, but seven wins in their final nine matches, including shock victories over Arsenal, Manchester United, Liverpool and Newcastle, ensured a 15th-place finish for Roberto Martinez's team.